You can’t always use water to clean your bike. In fact, when cleaning e-bikes it’s best to use little or no water to protect the electronics. 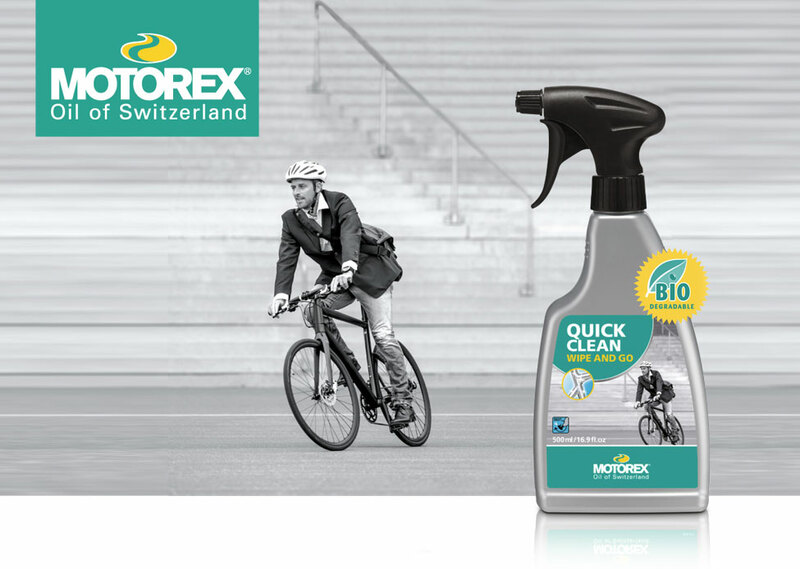 The new MOTOREX QUICK CLEAN is proof that fast, gentle cleaning is possible even without water. 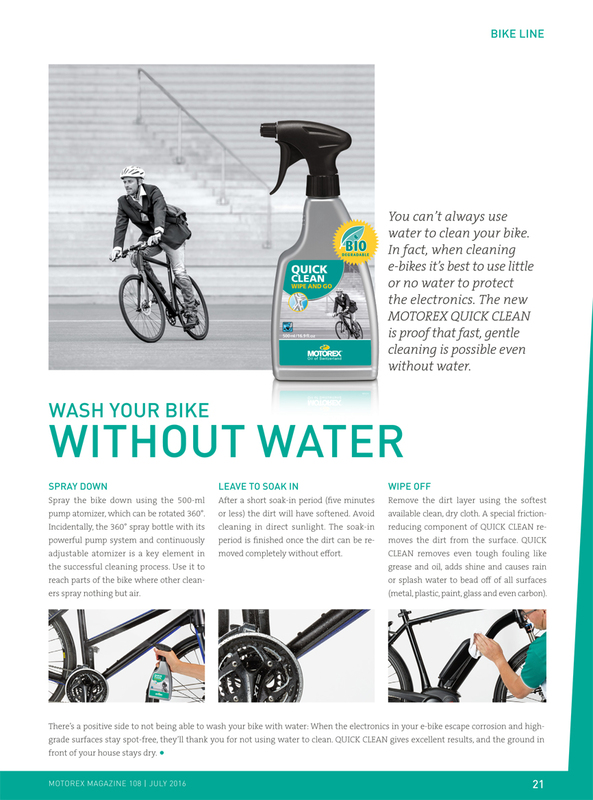 Spray the bike down using the 500-ml pump atomizer, which can be rotated 360°. Incidentally, the 360° spray bottle with its powerful pump system and continuously adjustable atomizer is a key element in the successful cleaning process. Use it to reach parts of the bike where other cleaners spray nothing but air. After a short soak-in period (five minutes or less) the dirt will have softened. Avoid cleaning in direct sunlight. The soak-in period is finished once the dirt can be removed completely without effort. component of QUICK CLEAN removes the dirt from the surface. QUICK CLEAN removes even tough fouling like grease and oil, adds shine and causes rain or splash water to bead off of all surfaces (metal, plastic, paint, glass and even carbon). This entry was posted in MOTOREX Bicycle Products, MOTOREX Products. Bookmark the permalink.